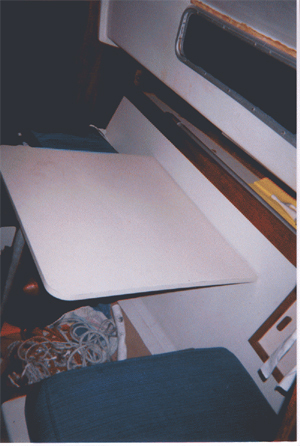 These are some photos of Pegasus. 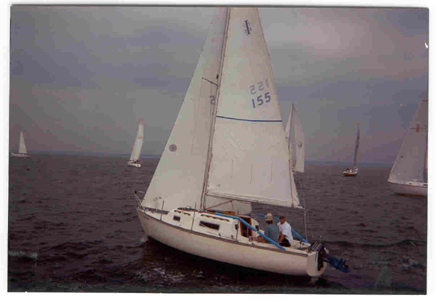 She is a 1973 Irwin 23, purchased summer of 2001 from a very nice couple up in Stratford, Connecticut. 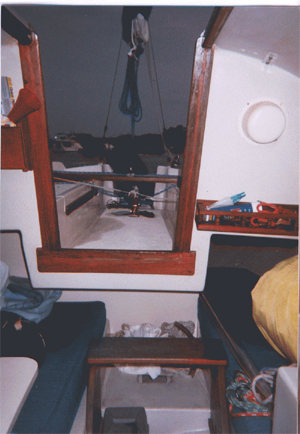 The previous owners used her mostly for racing, and so there are some modifications that were made to facilitate this, such as running all the halyards back to the cockpit. 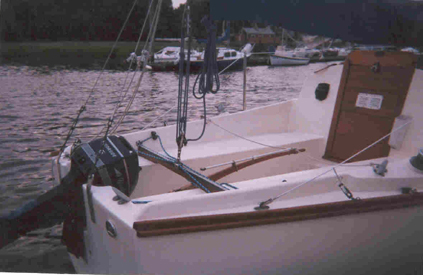 She came fully outfitted with all sails (including a spinnaker), and an outboard motor. 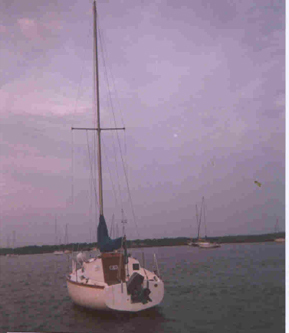 I believe she was named Pegasus by the previous owners, though I believe she had other names, unknown to me, before that. 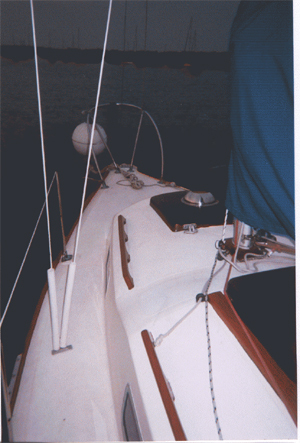 Tradition holds that it is bad luck to change the name of a boat, so Pegasus she remains. 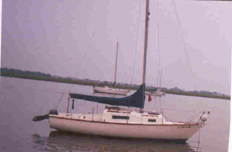 She is currently moored off City Island, NY, in the Bronx. 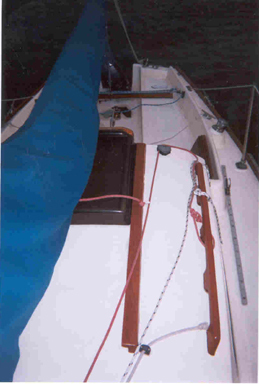 For those who like to know such things, she has a swing centerboard/keel, which draws 2' 6" when up and 5' 9" when down. 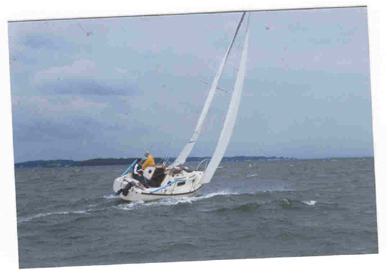 She has a LOA of 23', LWL 19' 2", and the Long Island Sound racing association assigns a PHRF rating of 231. 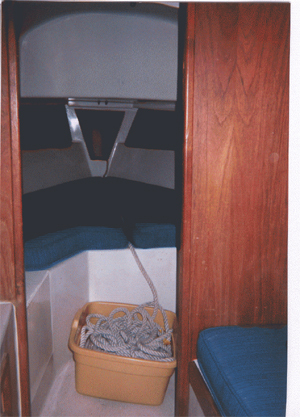 Here are some more pictures, all sent by the previous owner.